Follow Adventure Specialist and photographer Thomas Moser as he tackles our local snowfall! 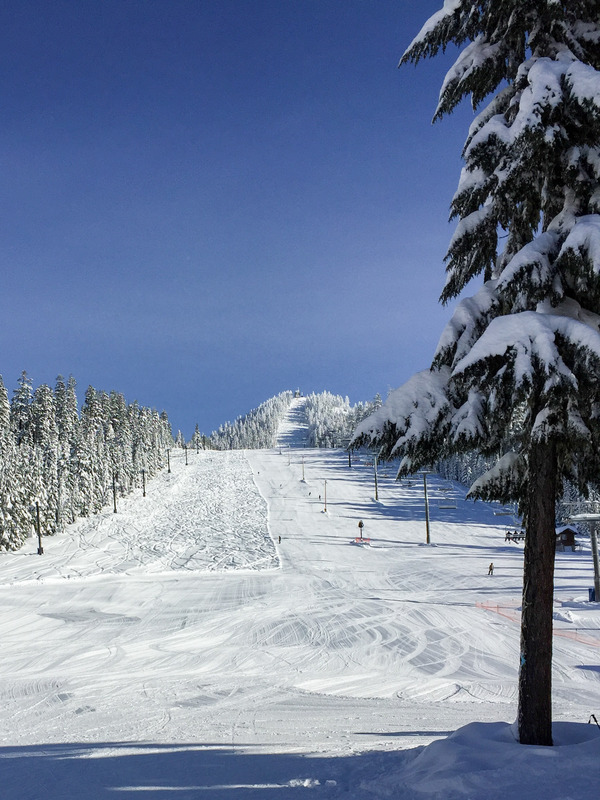 Find more winter adventures on our Sno-Parks and snow adventures page. 6 a.m., coffee is brewing, pancakes are sizzling, snacks are prepared. Time to get dressed in as many layers as you can find - it’s a ski day! 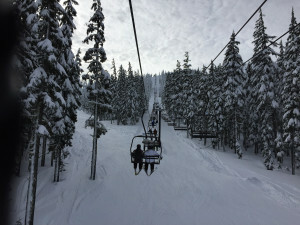 Snow fans ride to the top of the Willamette Pass. 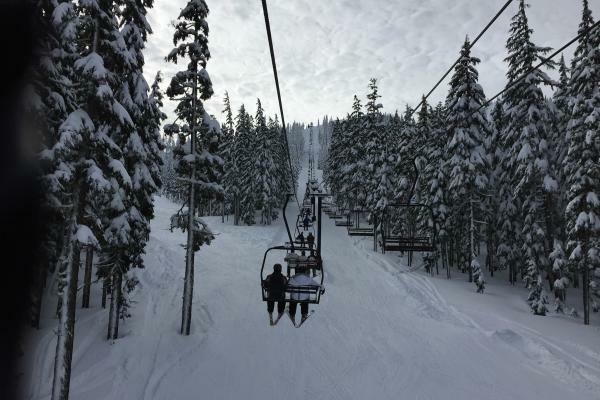 Whether you are a skilled winter sport enthusiast or just braving up to hit the slopes for the first time, Willamette Pass Resort has enough snow this year to make an Austrian giddy (and that doesn’t come easy). 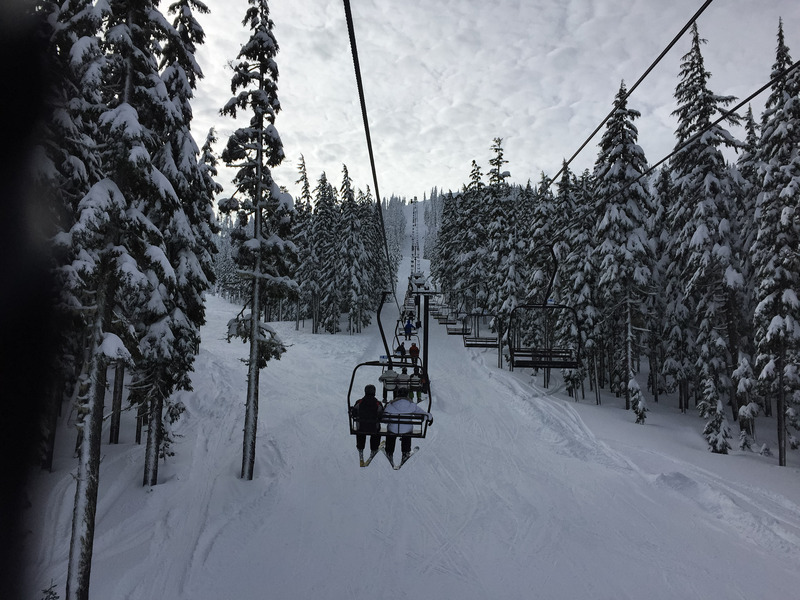 With 70 inches of snow at the beautiful lodge and 118 inches at the second peak, this short and beautiful drive up to Willamette Pass is well worth the effort. Driving along Highway 58 and the frozen winter wonderland is like seeing something out of a fairy-tale. Stunning views of the Willamette River and sneak peeks of snowy Diamond Peak enchant and dazzle. Road crews are clearing the way, but make sure you are equipped with traction tires or carrying chains. It can be icy! 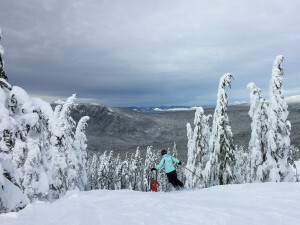 Carving the slopes with Waldo Lake in the distance. Once you get to the ski area if you don’t have your own gear don’t worry! You can rent it all on-site. They even offer a variety of lessons from private lessons to group to first timers. 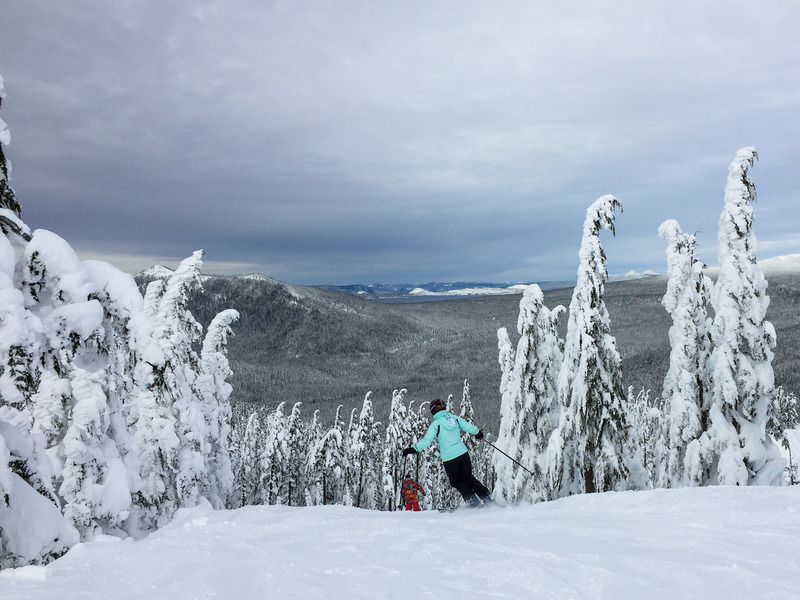 If you’re looking for some crowd favorite trails, make sure to ski over to the Twilight Lift and take some runs down "Peekaboo," Duck Soup," and "Swoosh." For the more advanced skiers, take the Eagle Peak Accelerator to Eagle Peak and use "Boundary Pass" to get to some of the more difficult Black Diamond trails. If you ski your self into a hunger frenzy, leave your skis or snowboard out on the backside of the lodge and head up to the second floor. Whether you packed a lunch or are purchasing food there, there is plenty of seating for even the largest of groups. After lunch, it’s time to ski some more! Stop in at Oakridge&apos;s Brewer&apos;s Union for a tasty beverage after a day on the slopes. When you finally head back to Eugene, make sure to stop in Oakridge for a world class microbrew. Nothing finishes up a perfect ski day like the family friendly, and local favorite, Brewer’s Union Local 180. 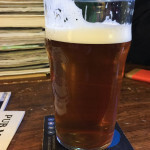 Enjoy from their personal line up of gravity feed cask beers, or sample one of their guest taps. 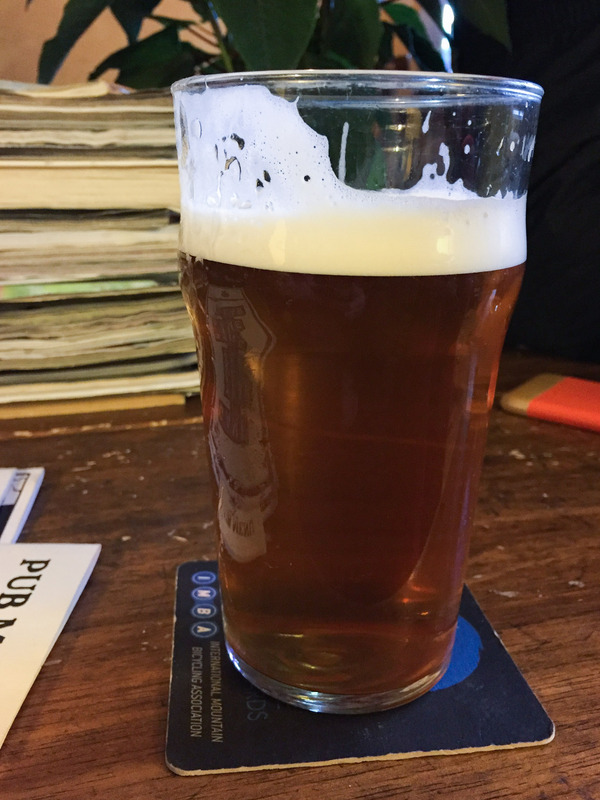 What you pick is sure to be perfect with their menu of British style pub food. With a session as good as the one we are getting this year, I&apos;m excited to get back soon! Thomas Moser is a photographer and Adventure Specialist.